There are many inherent challenges involved in operating security and surveillance video networks in gaming facilities. Choosing the appropriate technology to maintain compliance and provide the ability to sustain an open yet secure environment for the thousands of guests, employees, and vendors that frequent these properties is no easy task. Consequently, there are myriad video hardware and software products available that can help resolve even the most demanding challenges, and at the same time, also add confusion when trying to determine what you need most. One of the core objectives for casino surveillance and security management is to identify persons of interest on specific watch lists. This can include known gaming cheats, individuals banned for unacceptable behavior or theft, and worse. But given the volume of traffic in gaming properties and the large number of entrance/egress points to these facilities, the ability of security personnel to memorize known offenders’ identities is all but impossible without some form of aided assistance. Yet, there is a relatively simple and effective approach to assist with this process. Using advanced VMS solutions, high priority persons of interest can be put on a display in the form of a digital slideshow next to a live surveillance feed. This serves as a constant visual reminder to look for these individuals, while making the likelihood of identifying them much higher. Taking this a step further, advanced facial recognition software can be added to cameras covering entrances to automatically identify persons of interest and notify security personnel. Facial recognition software can be centralized and applied to specific cameras across the network, or on the edge, embedded in many higher end IP cameras available today. On a positive note, facial recognition can also be used to identify high-rollers who may arrive at a facility unannounced, so casino and hospitality personnel can be alerted, further elevating the level of customer service these important guests deserve. As with any form of image-based analytics, image quality and consistency are critical contributors to the performance of the system. Ultra-high definition cameras can provide extensive scene detail and expanded coverage. Cameras with features such as Wide Dynamic Range (WDR) can help contribute in terms of video image consistency and clarity in areas like casino entrances where changing lighting conditions occur throughout the course of the day. The combination of facial recognition analytics and camera modern camera technology can prove to be a most effective identification solution. While customer crime is a major concern for casino management, employee pilferage is also an issue. Integrating video cameras with POS devices has become a refined process. Cameras strategically positioned on a cash register when a sale is voided can provide a strong deterrent and irrefutable evidence of a crime. VMS alarms on cameras positioned on loading docks can alert surveillance and security personnel of activities when none are supposed to be taking place. Heat mapping functions can detect loitering or provide metrics on a variety of operations, and people-counting tools can help monitor pedestrian traffic and better allocate staff to specific sites and/or events at a moment’s notice. And cameras with fast frame rates optimized for low light situations can be used to detect individuals palming chips or cash from tables – events that may otherwise go undetected. Advanced IP cameras can also supply meta-data to help casino security personnel easily search recorded video to locate related activities. In addition to the forensic advantages this provides, data-mined video can also help with predictive analysis by piecing otherwise unrelated events together to warn security personnel of abnormal behaviors that may indicate an impending situation. Another important consideration is that advanced VMS solutions can be segregated into partitioned systems to handle casino surveillance and property security video independently. This allows the two systems to be consolidated on one technology platform, which can significantly reduce overall costs, yet remain separated in terms of who has access to each system. 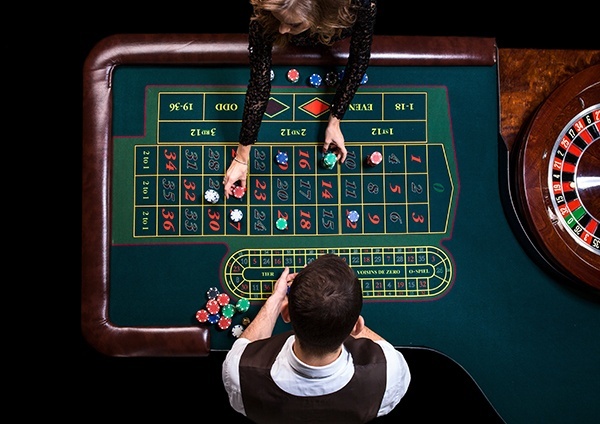 Perhaps even more important is the ability of advanced video surveillance systems to help casinos maintain compliance with gaming regulations. Established by state agencies, gaming regulations set stringent specifications for video systems deployed to monitor gambling operations relative to image quality and recording. Knowing which IP video surveillance solutions deliver higher quality images at faster frame rates and can be stored for longer periods of time will help ensure continued compliance. An effective casino video surveillance and security strategy that incorporates new advancements in video imaging technology will help increase overall awareness, protect people, assets and property, and identify potential risk while maintaining gaming compliance regulations. 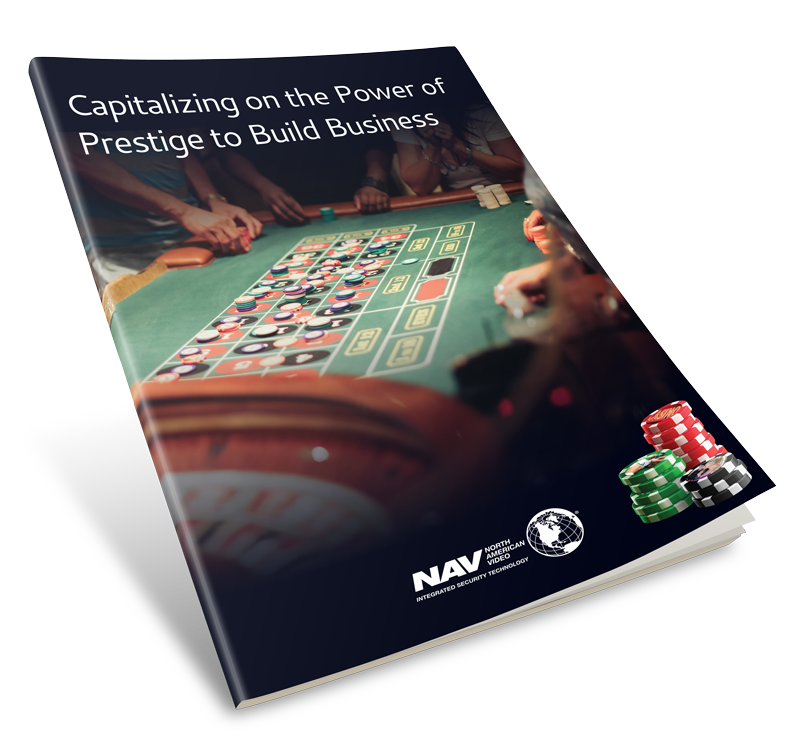 Dealing with a systems integrator who has proven experience in the gaming industry is the best place to start to ensure you get what you need, on-time and on-budget, and without disrupting daily revenue generating operations.